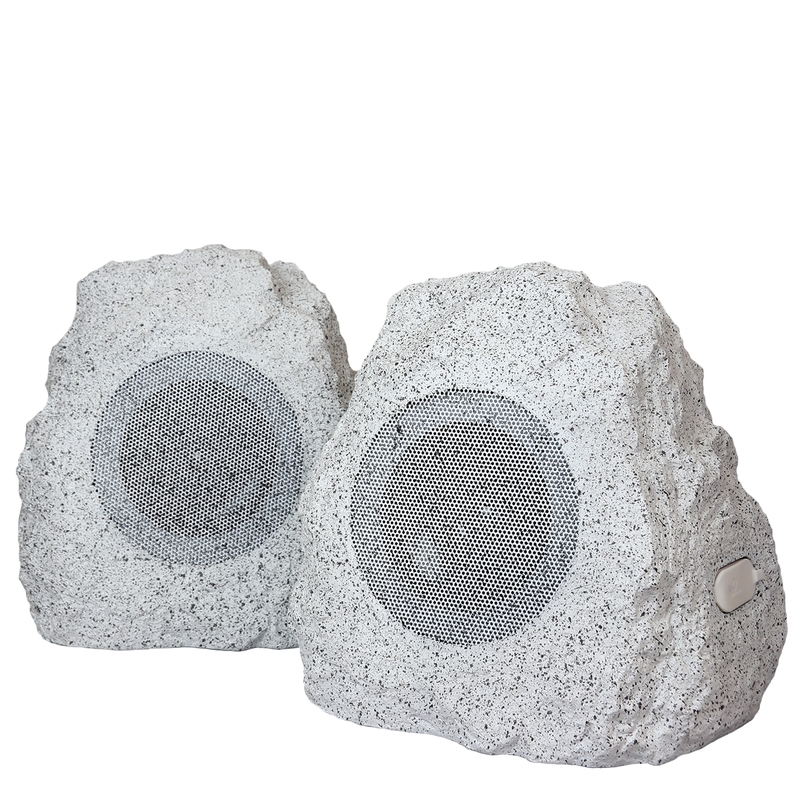 These beautiful Bluetooth weatherproof Rock Speakers have fully sealed enclosures, and are designed to provide years of trouble free service. Because they are designed to be weatherproof, they may be permanently installed and exposed to weather year round with no issues. Dual speakers can work simultaneously off of one power source. 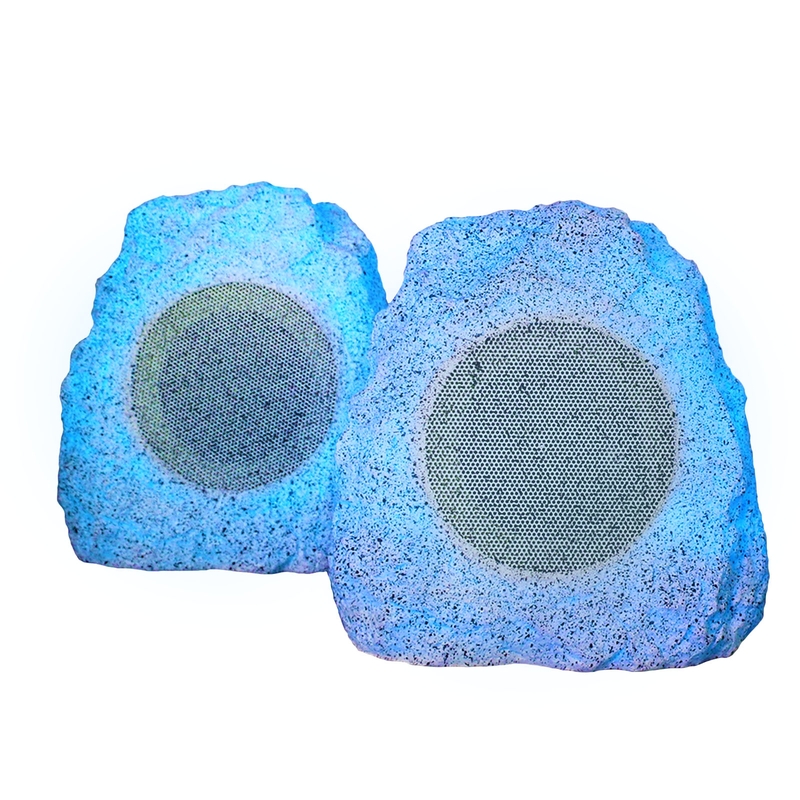 Popular locations for these speakers include residences, back yards, gardens, restaurants, theme parks, ball parks, any outdoor location that requires a high quality to be durable and weatherproof. CHOOSE YOUR COLOR ACCENT: With these stunning rock speakers, you can choose between three SOLID COLORS (choose from Blue, Red or Green) to brighten up your outdoor entertaining area! 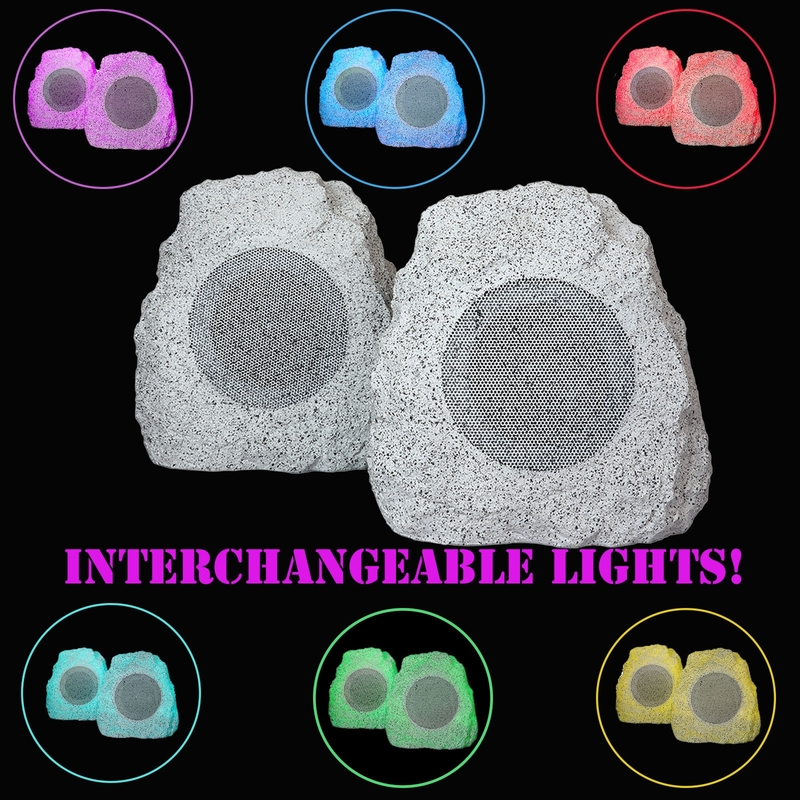 If you are looking for a more entertaining look, you can set these speakers to show INTERCHANGING COLORS which will dance to the sound of your music! 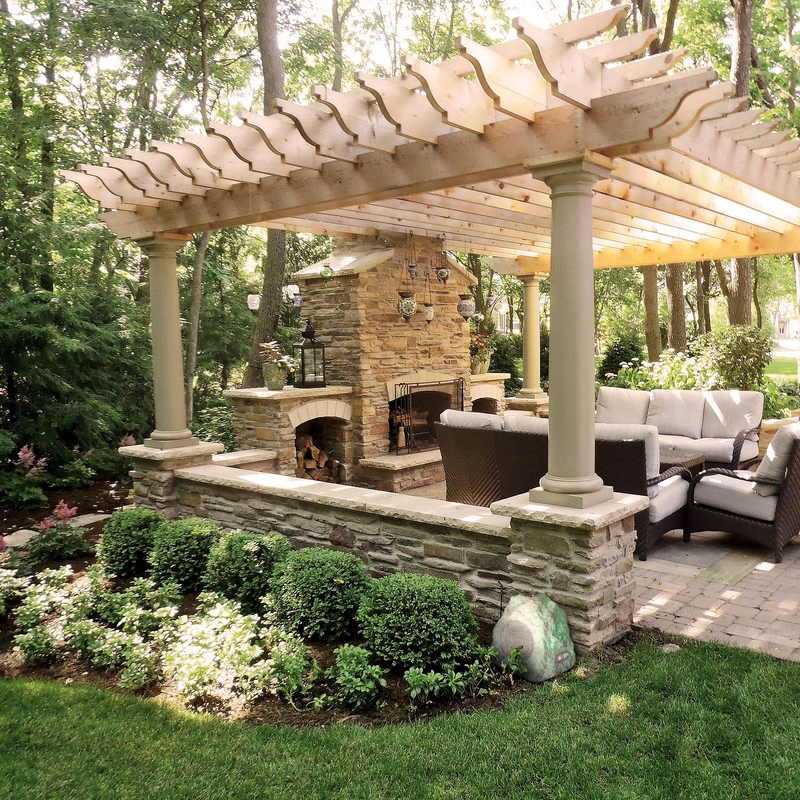 You simply can’t go wrong with so many options to enhance your entertaining or relaxation! 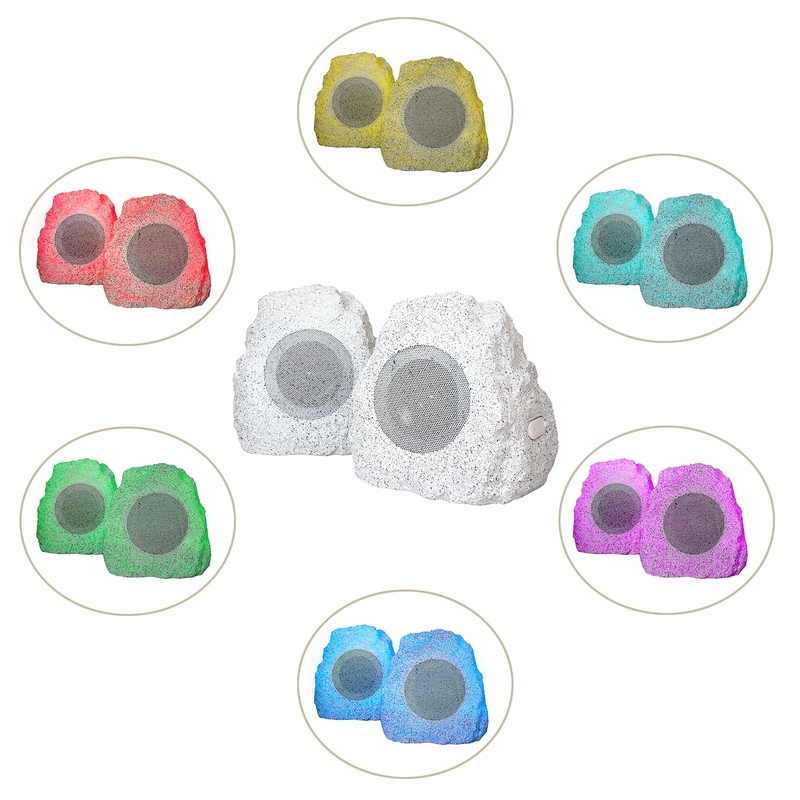 SURROUND SOUND: Enjoy the amazing sound quality of your speakers in a larger space! These Speakers connect to one another and play music simultaneously while being as far as 20 Feet apart! LONGER PLAYBACK: You will get up to 10 hours of continuous play back with a single charge! Your party will never have to stop due to a low battery! 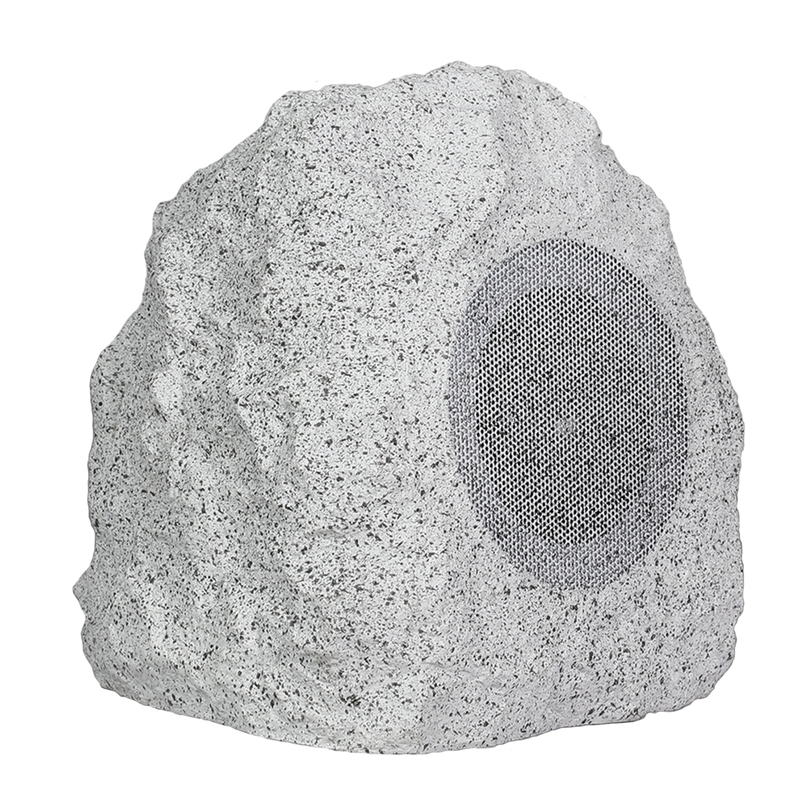 LARGE AND RELIABLE: Each Speaker measures in at: 11 Inches in Height by 10.5 inches in Width and 10.5 Inches in Depth (11” x 10.5” x 10.5”) And Weighs in at 5.5 LB. 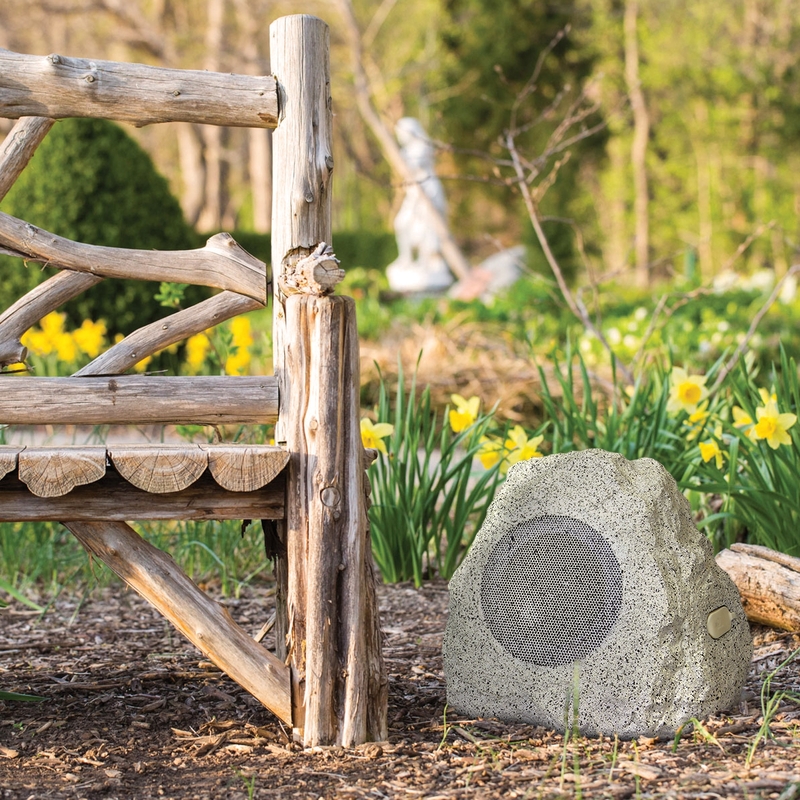 WEATHER RESISTANT: These luxurious speakers are made from high quality materials, and have additional weather proofing to ensure that they can withstand being used in your outdoor space. 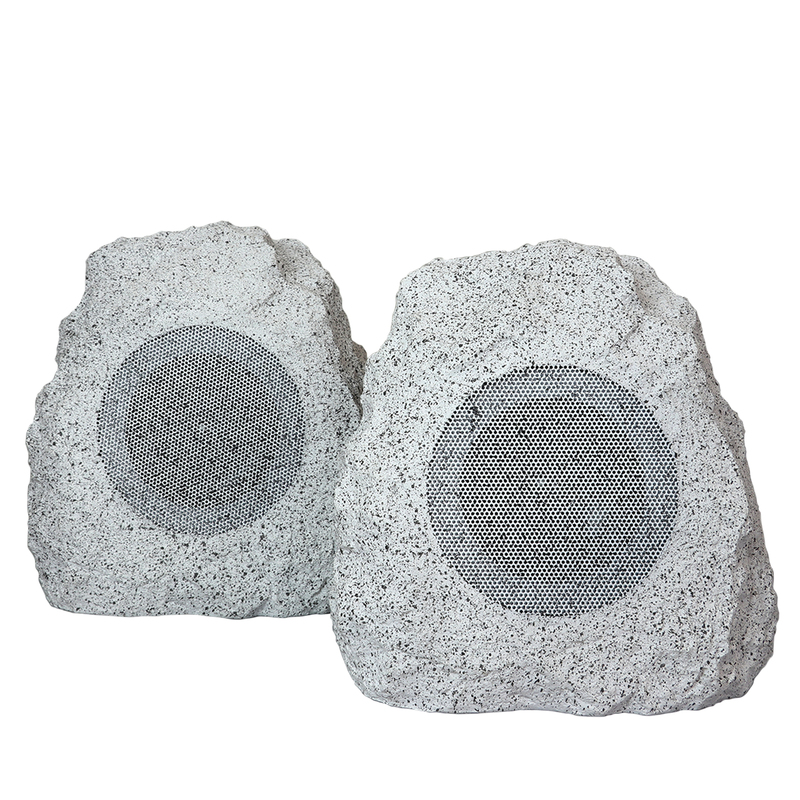 While we don’t recommend having any direct contact with running water, or leaving the speakers out in the rain, you can have peace of mind knowing you can rely on these speakers to provide you with Strong and Clear sound even in the outdoors.